Fragrance Match: What appeals to a Libra is a soft fragrance with a hint of spice. We Recommend Wall Street by Bod No.9. Main Accords: Citrus, Ozonic, Aquatic, Aromatic and Marine. Fragrance Match: What appeals to a Scorpio is a spicy and bold fragrance. Something that would complement their braveness. We recommend Black Orchid by Tom Ford. Main Accords: Warm Spicy, Sweet, Balsamic, Earthy, Cacao and Patchouli. 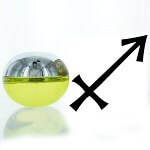 Fragrance Match: What appeals to a Sagittarius is a woody and fresh fragrance. We recommend Be Delicious by Donna Karen. Main Accords: Fruity, Green, Aquatic, Ozonic and Fresh. Fragrance Match: What appeals to Capricorn is a musky and classic fragrance. We recommend Beauty by Calvin Klein. Main Accords: White Floral, Musky, Amber, Woody and Animalic. 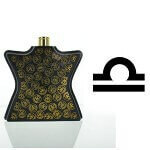 Fragrance Match: What appeals to Aquarius is a surprising and provocative Fragrance. We recommend Epic by Amouage. Main Accords: Balsamic, Warm Spicy, Fresh Spicy, Smoky, Rose and Woody. Fragrance Match: What appeals to Pisces is a fresh and marine fragrance. We recommend Halloween by Jesus Del Pozo. Main Accords: Floral, Powdery, Green, Woody and Marine. 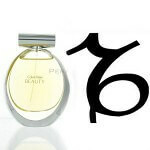 My zodiac sign is “LEO”, and which fragrances is for this zodiac sign?